This past Monday, Smallville alum Erica Durance participated in a Facebook Q&A over at Supergirl’s Facebook page. 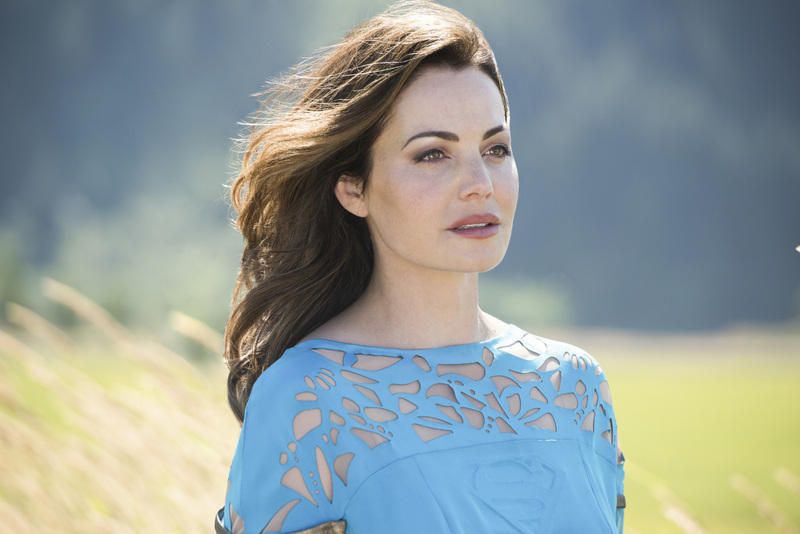 Durance answered fan questions such as her role as Alura, Kara’s birth mother. Back in July, it was announced that Durance would be taking over the part from Laura Benanti who had to back out due to New York theatre commitments (Benanti is starring in Steve Martin’s new Broadway play Meteor Shower). We knew Durance would be recurring and so far we’ve seen her at the top of the season 3 premiere in a silent cameo in Kara’s dream and then in episode 2 as Kara had to relieve Krypton’s destruction and parting from her mom. When asked what it was like being the new kid coming in on an established show versus being the lead like she was on Saving Hope, Durance answered that she needed a break after 5 years of being a lead. Also Durance is happy to be back in the world of superheroes. A fan asked if she is going to get Tom Welling to appear on the show and Durance said it is on her to-do list! You can catch Supergirl Mondays on the CW at 8pm ET/PT. After watching episode 3 of season 3, I am still not sure if it was necessary to cast Erica in this role. Don’t get me wrong, I love that Erica is back so soon after Saving Hope. I always felt Erica should have played a super-heroine/villain herself, and I always thought Arrowverse would give her that chance, considering how the shows are always introducing new characters. All I can hope for now is that we actually get to see Alura play an important role this season, the way Laura Benanti did in season 1.